BACKS TO PASTURE. MOUNTAIN VIEWS! Unique, functional layout w/ 3,900+ SqFt, 3 beds + study & 3 baths. Spacious. Vaulted ceilings. Natural light. 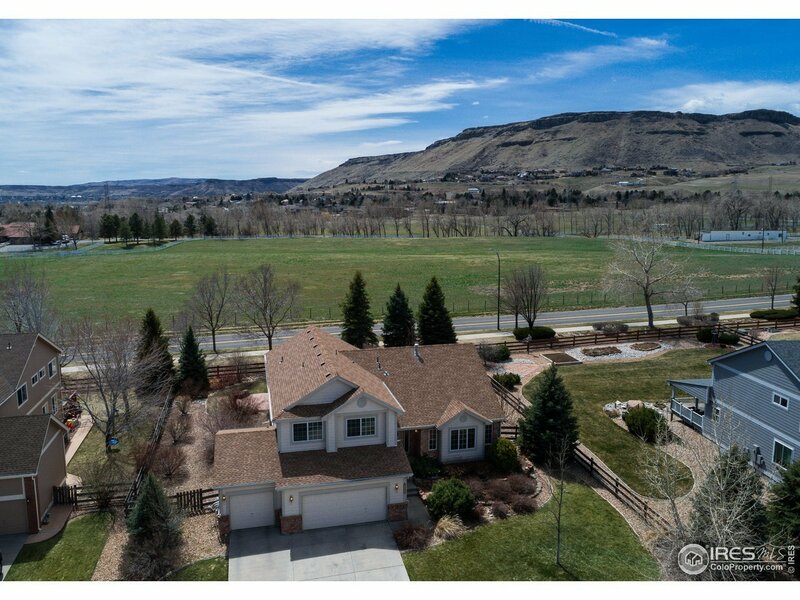 Park-like setting: serene, south-facing backyard w/ flagstone patio & views of pastures & North Table Mountain. No neighbors behind! Hardwood floors. Kitchen has island, granite tile counters, gas range & double oven. Family room w/ gas fireplace. Master Suite. Huge lot. Near park & trails. BANKRUPTCY ESTATE. EXCELLENT VALUE. SOLD AS-IS.